As we shift our attention from wintry weather to warmer days, we look forward to an increase in seasonal activities, such as sporting events, concerts, music festivals, weddings and many other outdoor activities. At Spectrum, we can help your clients be prepared for the unpredictable weather patterns the coming months often bring. Weather insurance is a versatile tool that can benefit event organizers and businesses to protect event income, drive consumer sales and stabilize budgets. The financial success of most fairs, festivals, outdoor concerts, sporting events, parades and many other types of outdoor events depends on having good weather. Our weather insurance product is a risk transfer tool that protects against adverse weather conditions that may reduce revenue or increase expenses. Rain and cold temperatures can substantially reduce the attendance of your event, not only reducing your revenue from ticket sales, but also from parking, concessions and merchandise sales. Event organizers can use weather insurance to protect against the effects of practically any measurable weather condition such as rainfall, snowfall, temperature (low or high) and even wind; whatever conditions organizers feel might keep the crowds away. 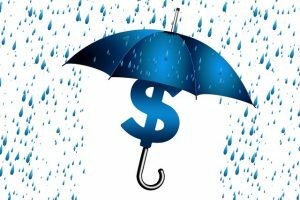 In addition to weather insurance, you can also purchase event cancellation insurance, which would protect you against decreased revenue and/or increased expenses should you need to cancel your event due to weather or a number of other circumstances, including transit strikes, a performer canceling due to illness, soggy ground, nearby fires and more. At the very least, you’ll want coverage for the expenses that went into the event, but, depending on the type of event cancellation insurance coverage you select, you can also receive compensation for lost revenue if your event doesn’t go on as planned. Event cancellation insurance also protects your profit if the event must be postponed or relocated. Another use for weather insurance is to increase sales for retail operations. Auto dealers, furniture stores, jewelers and electronics stores are just a few of the retailers that commonly purchase promotional weather insurance. Retailers utilize this coverage as a marketing strategy to entice consumers to purchase their products during the promotion period based on the promise that either some or all of the consumer’s purchase will be refunded if a weather event happens on a particular date. An example of a weather promotion would be to offer a full refund on all purchases made during a specified time frame if the temperature exceeds 90 degrees on Independence Day. Weather-based promotions are a unique and effective way to attract more customers to your store, generate press coverage, improve customer loyalty and — of course — increase sales. In the summer months, revenue for certain entities, such as beachfront businesses, restaurants with outdoor seating and golf courses, can fluctuate with the weather. These types of businesses can purchase income stabilization insurance to help offset revenue shortfalls created by certain types of weather, such as excessive heat or rainfall. This seasonal or annual coverage acts as a business interruption tool which can help stabilize income for these operations in the event of adverse weather. Early spring is a great time to look into weather insurance for your business or summer event. Contact us today to discuss your needs and learn more about how weather insurance can protect your profits this summer!